In April 2019, the world’s best kids’ obstacle race will be heading to the stunning Sunshine Coast for the first time, thanks to our Major Partners Visit Sunshine Coast and the Sunshine Coast Council. Our specially built Kids' courses are designed to build resilience and self-confidence. 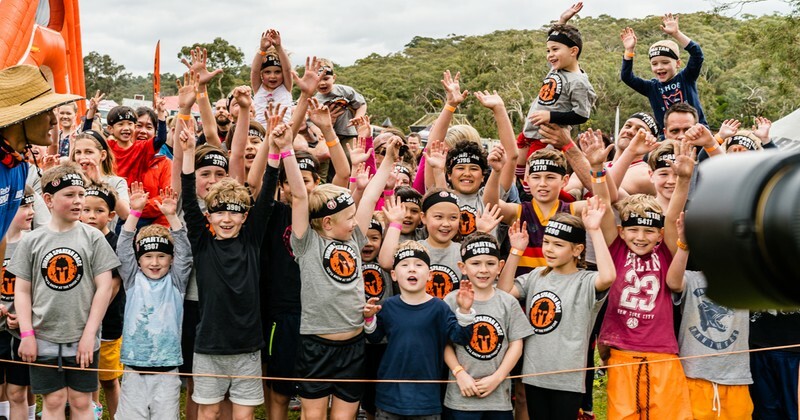 Get your kids away from the screen and into play time these school holidays with a Spartan Kids' course featuring Spartan obstacles, plenty of mud, and a whole load of fun! Spartan Kids Sunshine Coast will provide fun for the entire family. You can choose to tour the Sunshine Coast and let the adults loose at Spartan Sunshine Coast on the Saturday, before cheering on the kids on Sunday. Or, alternatively, take Saturday to check out some of the stunning Sunshine Coast beaches and run the course with the kids on the Sunday. Register the whole family for some school holiday fun, and save more with our multiple child discounts. Head over to our website for more information.